Ever since I shared my curriculum crisis on my blog, everyone has been curious to know what choices we ended up making for Kindergarten. My oldest child, Isabelle, is 4 and will turn 5 in December, but her reading level has been assessed at about 5.5 years, so at least in reading, she’s quite ready for Kindergarten. We’ve decided to consider this Pre-K or K4, depending on what you call it, but to plow forward with Kindergarten material. She’s loving it, especially since much of it is a continuation of what she’s already learned. Disclosure: This post contains affiliate links, though I only recommend products that I use and love. I feel that links will make it easier for you to find and research these items, so any purchases you make are win-win. You get quality curriculum and I’ll earn an Amazon commission. We’ll continue working our way through Phonics Pathways: Clear Steps to Easy Reading and Perfect Spelling to introduce more blends and phonetic rules. I considered a few other options until I saw the prices. 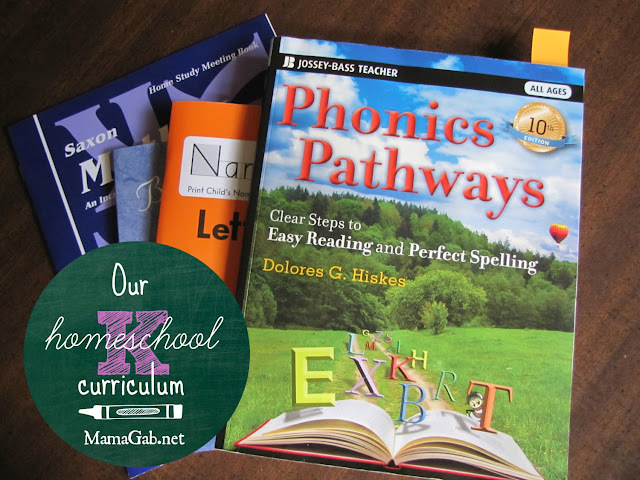 Phonics Pathways is inexpensive and I’ve already been using it, so it would be easy to simply continue with it. And if it ain’t broke, don’t fix it, right? This book is a large part of why my 4 year old is reading so well, so I saw no need to change phonics programs. Easy readers and read-alouds form the foundation of my plan. I’ve bought several beginning level readers, borrowed others from a friend, and checked some out from the library. 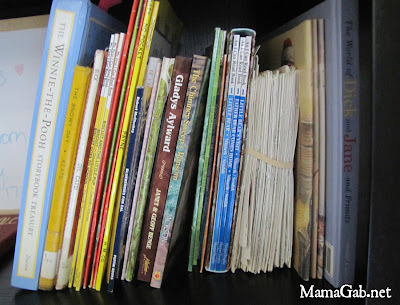 We’ve got a great combination of books like the Winnie-the-Pooh Storybook Treasury and missionary biographies for mommy to read aloud with her. I recently asked my pastor’s wife about reading aloud to her children and an hour later, I was leaving her house with a pile of books to borrow and enjoy with my children. Before Five in a Row: A Treasury of Creative Ideas to Inspire Learning Readiness forms another small part of our curriculum, and since it’s really designed for children ages 2-4, it’s perfect for both of my children. BFIAR uses classic children’s books to teach everyday lessons, including Bible, math, and science mini-lessons. 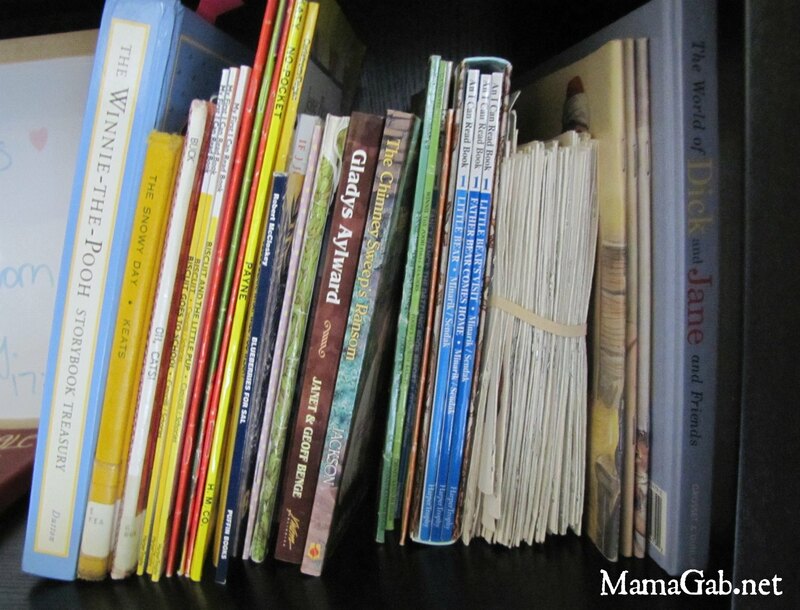 The authors give art ideas, nature observations, and topics of conversation for the parents to have with their children. It takes very little time but is wonderful for making connections with quality literature. Every time we go to the library, I take my BFIAR book list with me to find more great books. For easy readers, I’ve got books that I’ve bought, such as Little Bear & Biscuit level 1 and beginning level readers, as well as some that we’ve borrowed or checked out from the library. She’s always so proud of herself when she reads a book all by herself! We’ll also use Bob Books Set 2-Advancing Beginners, since the first set was so effective with helping her practice reading. I’ve also decided that we’ll try to visit the library for story time at least twice a month, though once a week is really ideal. I want to cultivate a love for books. 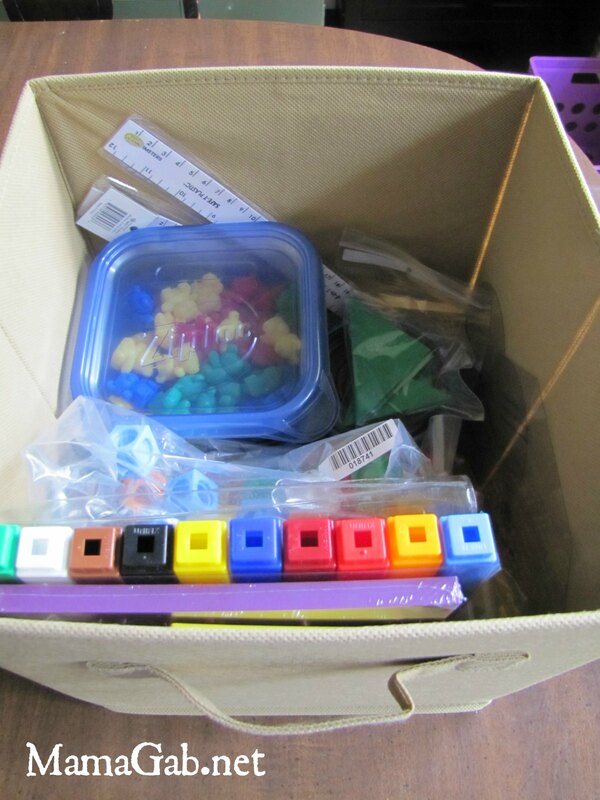 We’ve opted for Math K: Homeschool Kit (Homeschool Math Grade K) , which is geared towards 4 1/2-5 1/2 year olds. Perfect! 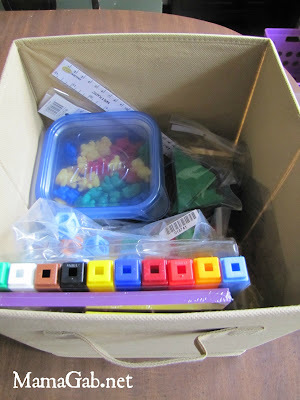 I debated going up to Saxon 1, but finally settled on K.
The manipulatives needed for the Saxon K also come bundled in a great Manipulative Kit for Saxon Math K-3 that saves quite a bit of money and even more in time and energy. I’ve got everything I need to tackle math over the next few years, which is fabulous because when my oldest is in third grade, I will also have a first grader and another kindergartener. And I won’t need manipulatives for any of them. Until AWANA starts up at our church, we’re working on memorizing some of the Foundation Verses from Desiring God’s Fighter Verses (Foundation verses are for kids). The DG website also has recordings of a few songs that I sometimes use with my kids to help them learn the verses. We will also continue reading Leading Little Ones to God: A Child’s Book of Bible Teachings . We’ve moved to reading this one at bedtime lately, but that could change. A friend gave us a neat children’s work book that goes through the Beatitudes but puts them on a child’s level. For each beatitude, it has a coloring or craft page for the kids to complete. We’ve had fun with that one. One of my favorite curriculum choices so far has been Handwriting Without Tears: Letters and Numbers for Me . I’ve learned so much about teaching handwriting already! The ideas are amazing and my kids enjoy it too. 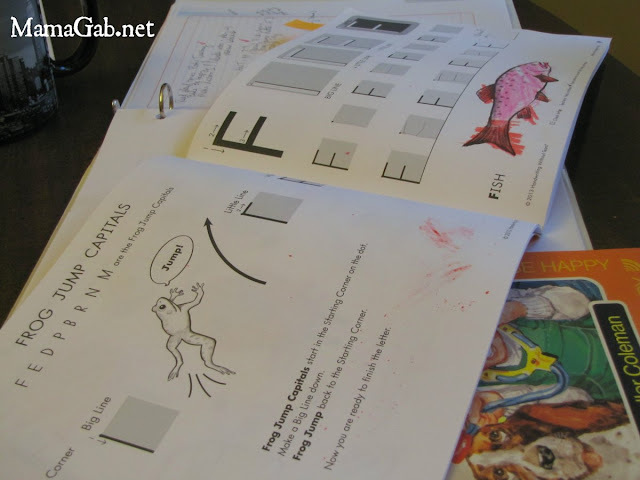 I’m glad that we purchased the HWT slate board to use with the program because not only is their Wet-Dry-Try method a really effective way to teach letters, but it’s also one of my children’s favorite things about the school day. When my 4 year old finishes with the slate, my 2 year old draws on it. He thinks he’s doing school too, and that’s fine with me. Ours is a fairly simple Kindergarten curriculum designed from the recommendations from The Well-Trained Mind: A Guide to Classical Education at Home (Third Edition) . The core portions of the curriculum take very little time, and the rest of our morning is spent playing, doing chores, and poring over books together. What are some of your favorite curriculum options? What choices did you make for Kindergarten? Thanks, they really have been fun! Your curriculum choices look amazing! My oldest son is 3.5, so we are JUST starting some more formal home education. I went with the 4-5 Rod and Staff work books (we shall see 🙂 But my MAIN focus is definitely, read, read, read, I think there is no better start to school I can offer than TONS of reading aloud together! I’ve heard wonderful things about Rod & Staff, so I know that’s a great choice. Sometimes it can be a little overwhelming because there are so many great curriculum choices nowadays! Thanks for stopping by and saying hi! Looks like a great plan! I absolutely love your blog and find a lot of your post’s to be just what I’m looking for. Do you offer guest writers to write content for you? I wouldn’t mind writing a post or elaborating on most of the subjects you write related to here. Again, awesome blog!